Some of the photos may not be suitable for all viewers and some of the topics below may be of a sensitive nature. Furthermore, some of the images used on this page may be of a graphical nature which some may find distressing. 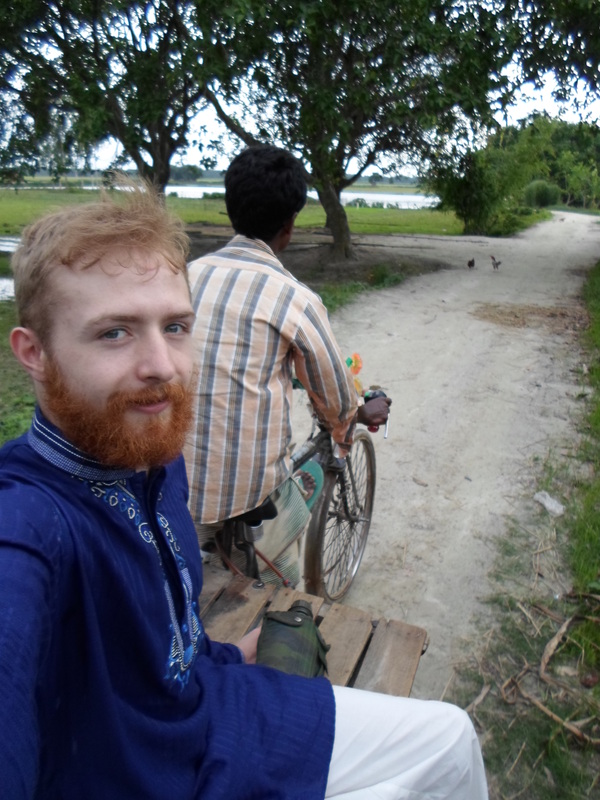 Less than 10 days before I fly out to embark on a 12-week voluntary project within the Parbatipur region in Bangladesh & it’s fair to say, I’m full of different emotions. I’m greatly looking forward to getting involved with the project and working alongside local people who are so affected by challenges. I’m excited about the fact I’m being invited to immerse myself fully into their culture & getting to learn more about the way of life which I know is so different to my own. I’m very nervous about the project & the concern of not being able to make that much of a contribution to the project or the project not being as productive as it could be, but ultimately that will be down to us as the volunteers to ensure we are focused at all times. On the 29th May 2017, I had my bags packed and was making my way down to London Gatwick airport with my family. The flight wasn’t departing until 2145 but we had been given instructions to meet a representative at the airport no later than 1730, the other volunteers quickly arrived and we were given some last minute information and the news that the flight from Dubai might be delayed due to Cyclones around the area. Fortunately, the flights were not cancelled or delayed but the threat of Cyclones was not to be taken lightly. The morning after we arrived in Bangladesh, a newspaper with the following headline had arrived in our hotel room. The last four days have been somewhat intense. A lot of information, training and briefings on what we can expect and some of the challenges we could potentially face being out in the communities. 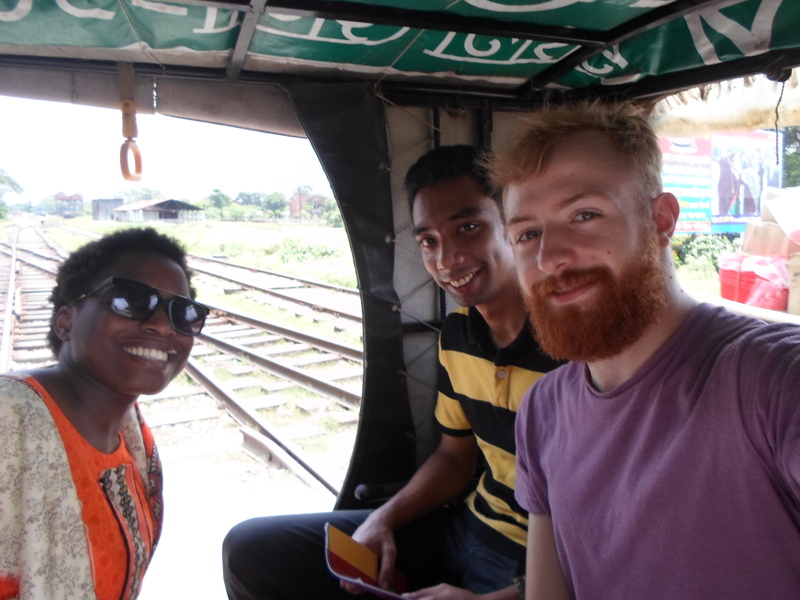 We’ve learnt some basic Bangla phrases that should help us communicate with the local people better and gone through cultural behaviours and expectations. The days have been very long and at times, it’s been hard to stay focused. The heat, even with the air conditioning in the room, is something that is going to be a challenge to get used to. We went out to the local market on the first day we arrived where it was raining heavily. Even though it was raining down fast, it was refreshing for us and I know I was thankful for it. ICB – Knowing About UK Culture: Going to Pub is quite common. 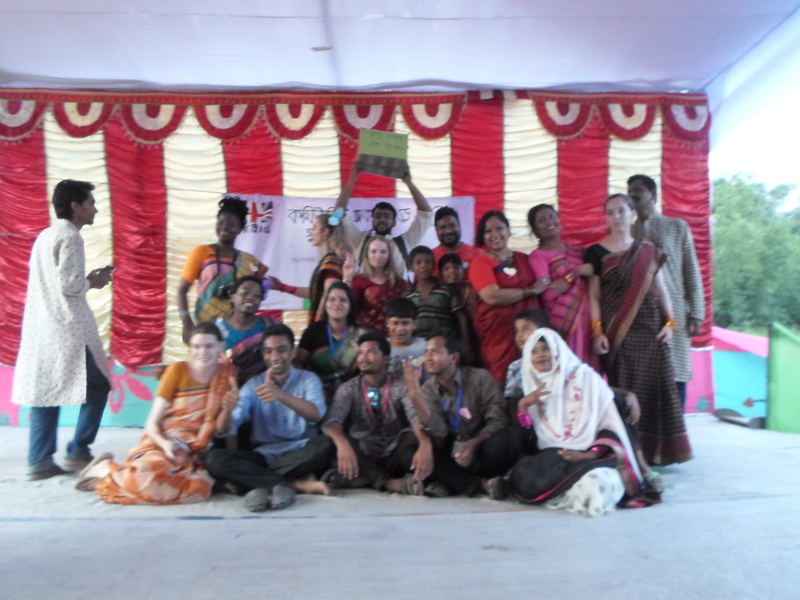 One of the sessions we took part in was a cross-culture activity, all the volunteers going to Partbotipur got together and split down into local volunteers and UK volunteers, the activity was we had to write down what we thought their culture was about and they about ours. This time of the year is a special time for Muslims across the globe: A holy month of fasting from dawn to dusk and religious devotion. It’s not just about refraining from the consumption of food though, it’s a time to remember those who are less fortunate, who often go without food and water on a daily basis. Some UK volunteers wanted to experience it and woke up at 0300 to eat their first and last meal of the day until the evening where they were able to enjoy a feast. We left the hotel around 0700 to set off on the 10hr journey to the communities and our homes for the duration of the project. The journey was an emotional one with fear, shock and plenty of near death experiences to last yet hilariously funny and one that would have easily given Crazy Taxi a run for its money. The amount of horn beeps and honks we heard, there’s no need for a radio out here. We were provided with a plate full of different food, which I believed to be dinner I soon found that it was a ‘snack’ and that dinner was actually coming later on in the evening. The first week was about introducing ourselves to the community, the different youth clubs we would be working closely with along with learning about and getting a better idea of the projects we would soon be working on. 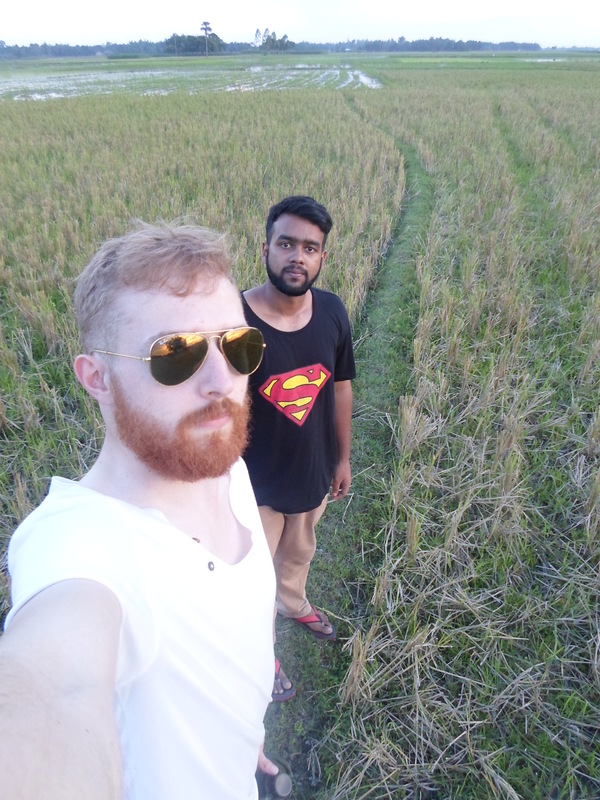 What you’ll read below is a is a highlight reel providing you with what I noticed the most from my time in Bangladesh along with some funny stories and some profound realisations I made during the experience. Please skip this section if the sight and thought of animals dying disturbs or distresses you. One of the days in the first week, we were walking back to the office from lunch when I heard a bit of noise from a bird, it’s quite common for chickens to fight and often we often heard them letting out there battle cries before fighting. It is quite interesting to watch so turned around to see what was happening. I was quite shocked to see what can only be described as a cone with two chicken feet appearing out the top of it. I soon realised I had just seen a chicken freshly slaughtered. I was told shortly after it would be the first of many. 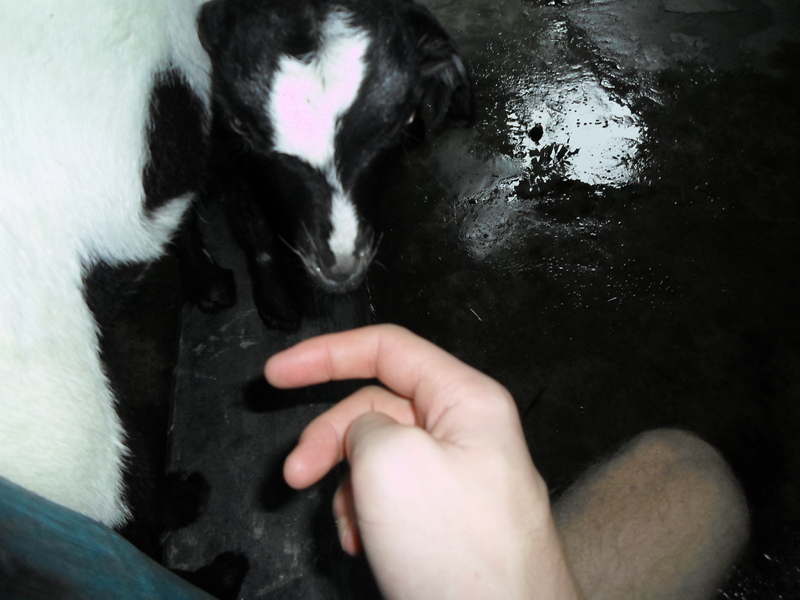 There was also one day where our host family were preparing goat for slaughter, whilst some may be uncomfortable at the sight of an animal dying, it hit me very quickly that this is an integral part of the communities life. There’s no slaughter house hidden in the country side and no supermarket for them to purchase ready cut meat produce. I understand that for certain people, the following photos might be distressing to see, I found it insightful to see and again something which changed my preconceived ideas about life in rural communities. It was funny to see how curious a lot of the community were with us being there and despite being the 2nd cycle, people would stop what they were doing just to have a look at us. People riding bikes or driving vehicles would slow down as they were going past and stop briefly to watch us. Although I experienced it to a degree in Uganda, see Uganda 2015.
we were so much more integrated into the community here and could always guarantee there were people watching us. One thing I noticed was the willingness of the community members to be hospitable towards us, there is something awfully humbling about being in a rural community on the other side of the world to what you call ‘home’ and have the local people help and accommodate you where needed. I’ve been taught how to put a mosquito net up properly, how to eat with no cutlery and how to wash clothes without a washing machine. It’s something so small but it’s a real reminder and a great eye opener to how much we take for granted daily and how people who share this planet with us live their lives. 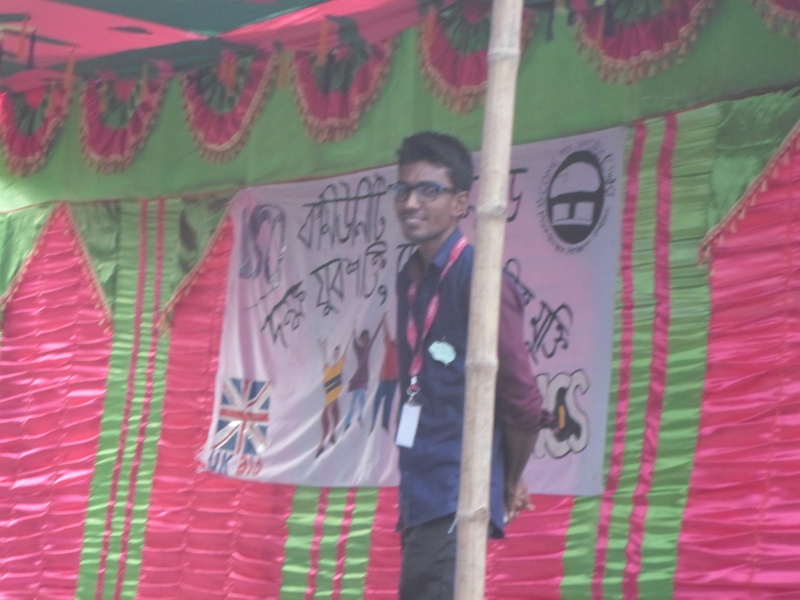 I was provided with plenty of help from the national volunteers to learn Bangla and whilst I may not be the best language student, everyone realised that and continued to be supportive and understanding where possible. 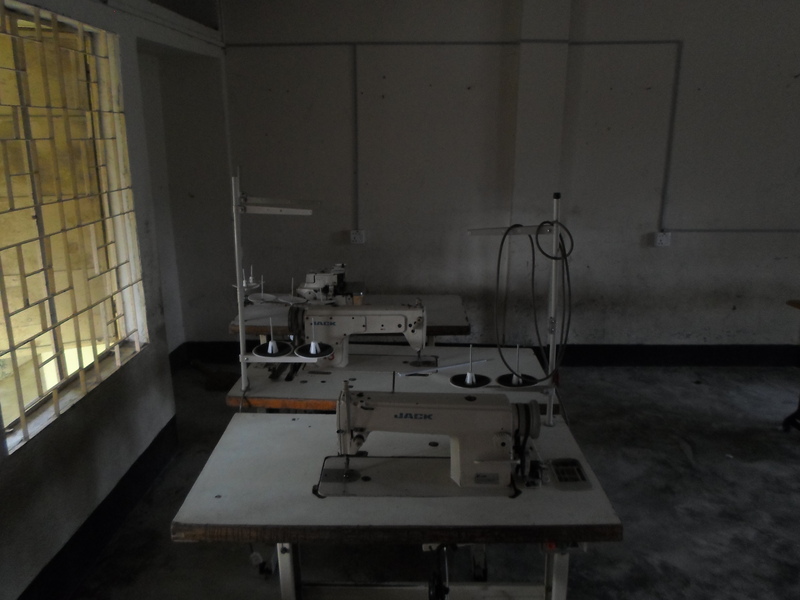 We set up Phase 1 tailoring training for 40 youth club members and had them sat in the training room on the first morning half an hour before it started, they were keen to learn and asked to stay despite having 30 minutes to spare before the session started. The trainer was nearly one hour late before arriving and then announced that the training would start the following day. Whilst I imagine what would have happened should that have been at home, to my surprise, the trainees attending had the utmost respect and patience & not a single complaint was made to us, the ICVs or their respective YC representatives. We spent a lot of time during the first few weeks in community building rapport with the youth clubs, finding out what they wanted and communicating how we could work with them to help them develop their capacity. This, we found was a crucial moment for our cycle and project and how we portrayed ourselves at these meetings had an everlasting effect on our time in the community. 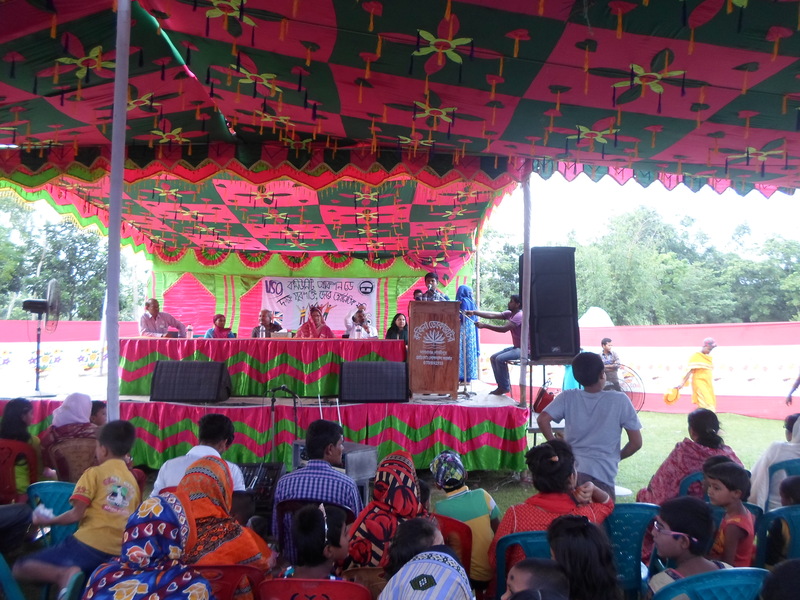 We split down into three different teams: Governance, SRHR (Sexual Reproductive Health Rights) and Livelihood, all working independently of each other helping the community with a number of different projects. Governance team had a major role in working to build the capacity of the youth clubs, creating linkages between them and local NGOs, government officials and researching & developing necessary documents in order to help the youth clubs move forward. A lot of their time was spent arranging meetings for the different teams and conducting capacity training with the youth clubs, showing people the various responsibilities in the Youth Club, how to register as a youth club and how to be most effective to serve the wider community whilst working on a number of different activities to keep the Youth clubs involved and motivated to work with us and help better the local people. 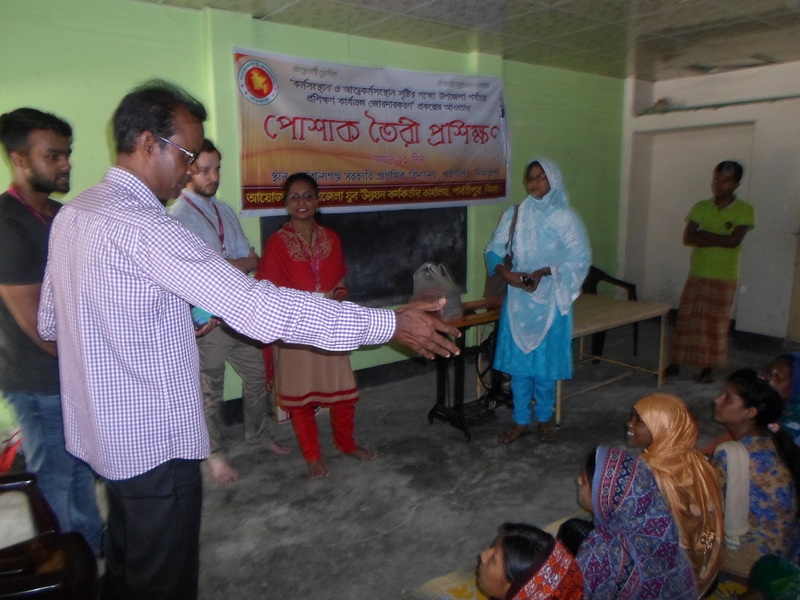 SRHR had a big focus on training peer educators in the community; individuals who would become advocates for SRHR related work and help aid the people of the community using the training they had received. 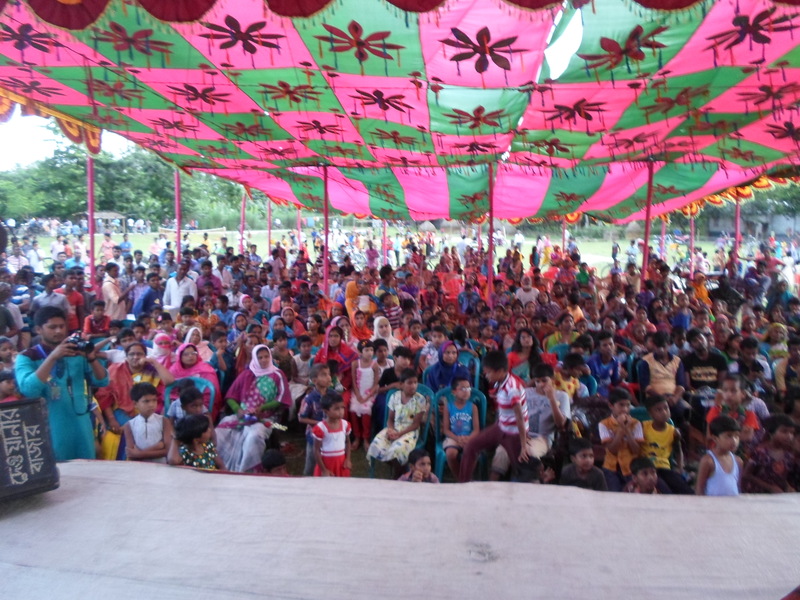 Amongst this, they helped raise and tackle a number of issues relating to child marriage and helping to raise awareness about the importance of good menstrual hygiene. They were able to start the PENS project, (Peer Educator Napkins Sellers) an initiative that saw some Peer Educators become more involved with helping the women of the community by going door to door around the community and selling sanitary napkins at a discounted price, cheaper and more available than that which was currently being sold in the nearby markets. 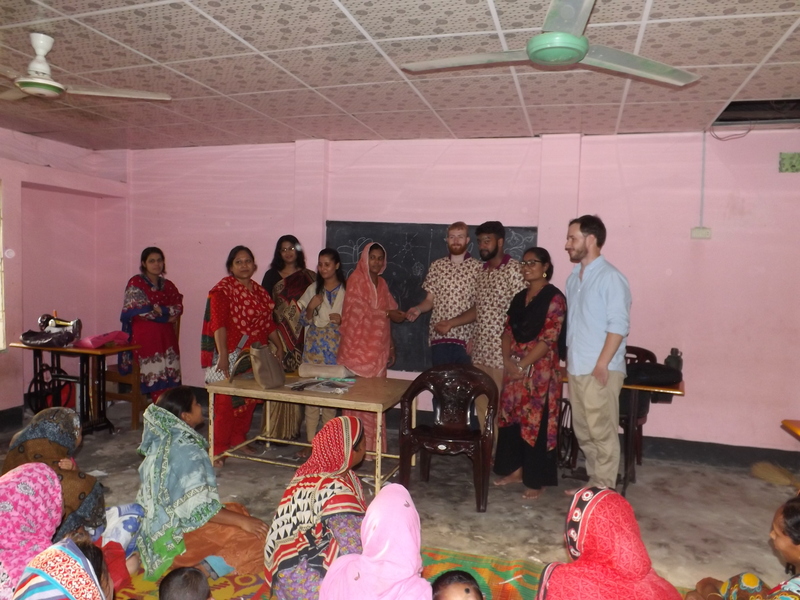 The SRHR team worked very closely with the women involved to ensure they were confident in their own ability to make this work as well as helping them take new orders, contact the retailer and deliver them to their customers. The livelihood team was all about identifying and developing entrepreneurship whilst bringing employability opportunities into the community. 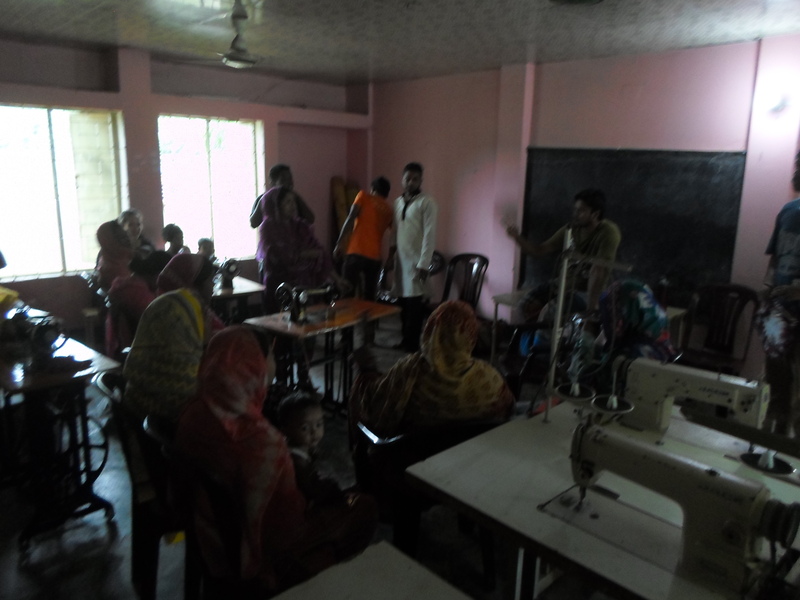 We conducted two training courses facilitated by the DYD (Department of Youth Development) such as Tailoring training and Showpiece training. 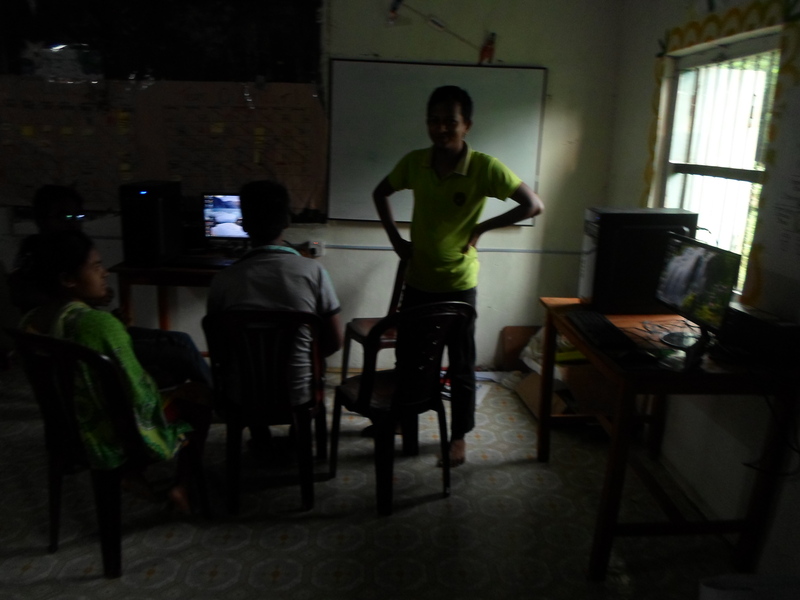 We were also able to start computer training for 12 youth club members along with a phase 2 garment factory/ tailoring training course. We found from the start of our programme that there was a lot of different needs and training courses that were desired but no-one knew what training was actually available. We decided it would be a good idea to find this information out and create the DYD training handbook to distribute amongst the Youth Clubs. This had all the training course information, which training was available inside the community and residential courses along with training time in weeks and contact information for the DYD so that the Youth Clubs could arrange further training for themselves. 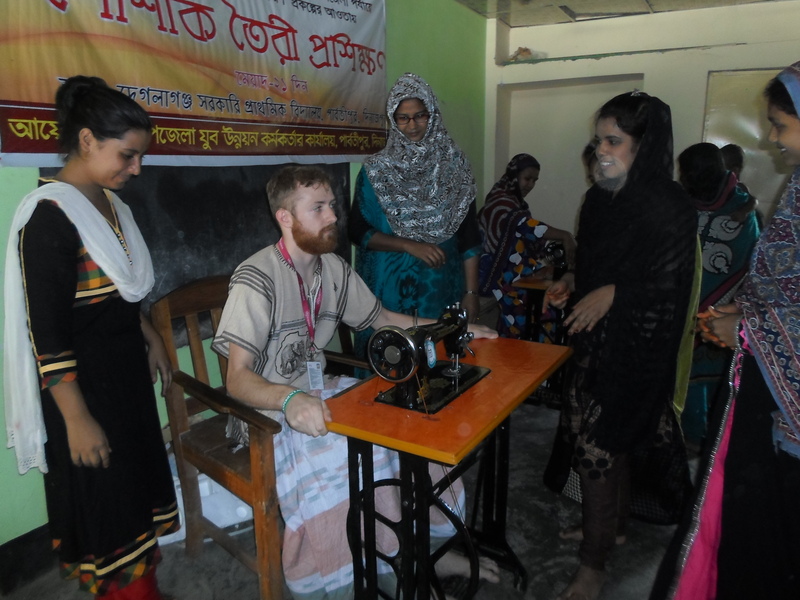 The project saw us host two different Community Action Days (CADs). The first lead and organised by the SRHR team. The title translates to Healthy Mother, Happy Family and was focused on the importance of family planning. The team settled on this slogan to encapsulate the research leading up to the event and to integrate the idea that if a mother is healthy and happy in herself, it will benefit the whole family, not just her as an individual. The registration began at 3pm with a desk and a tally sheet to take the community members’ age and gender of those who attended. 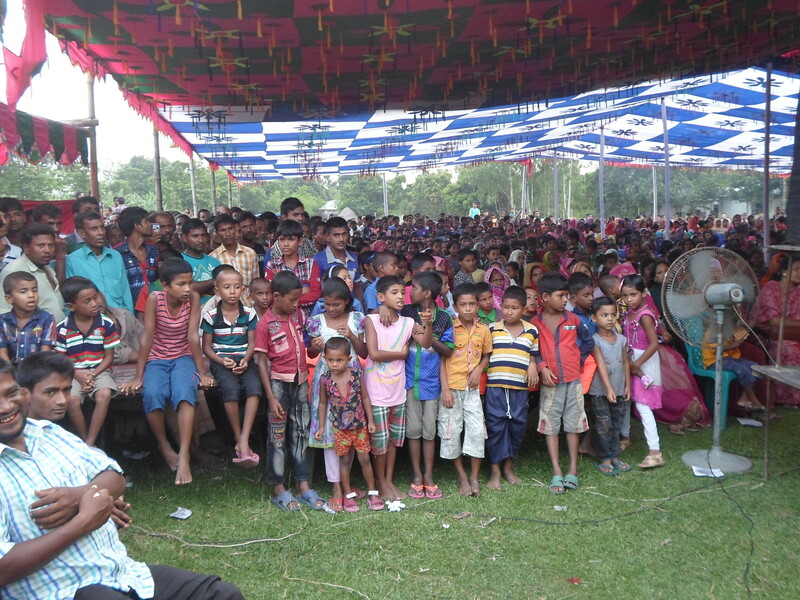 Approximately 1900 people registered with estimates of around 2500 actually attending the event. 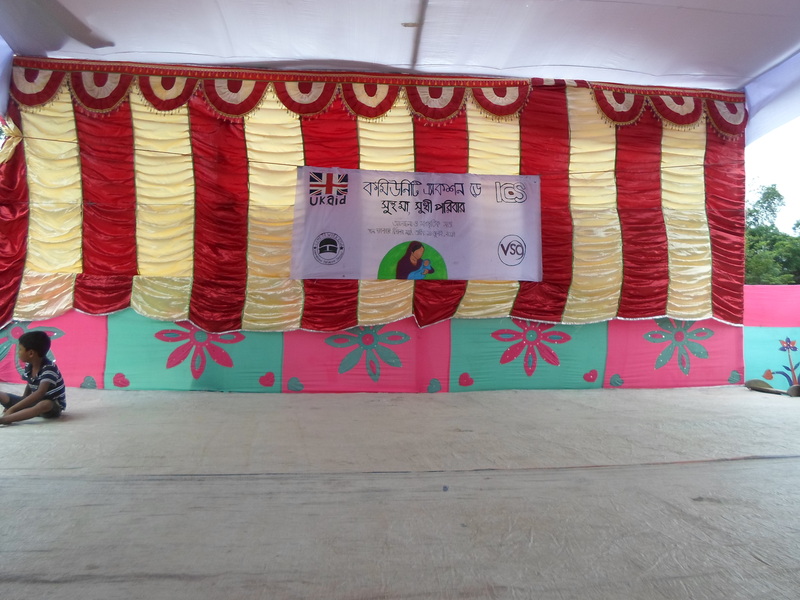 The 2nd CAD was organised and led by the Livelihood team and was mainly focused on the importance of youth development and the positive impact skilled and educated youth has on its community and its nation. We originally had a plan to host the CAD on the day after international youth day to signify the importance but due to heavy rain fall, we had to cancel and rearrange the dates. 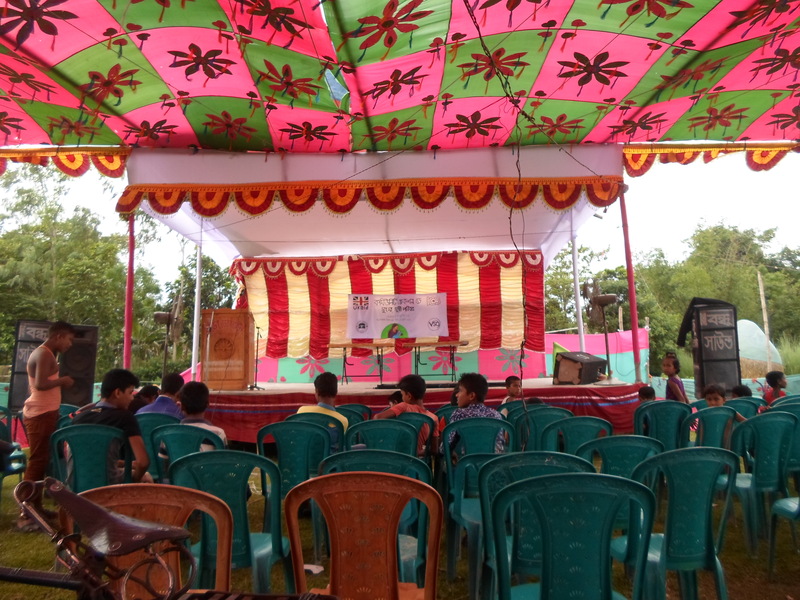 Some of the guest speakers had to cancel the reappointment due to short term notice and badly damaged roads / not being able to get into our community so we rearranged our schedule and changed the plan for the day. We looked at what went well with the first CAD and tried to re capture that along with amending some other aspects. 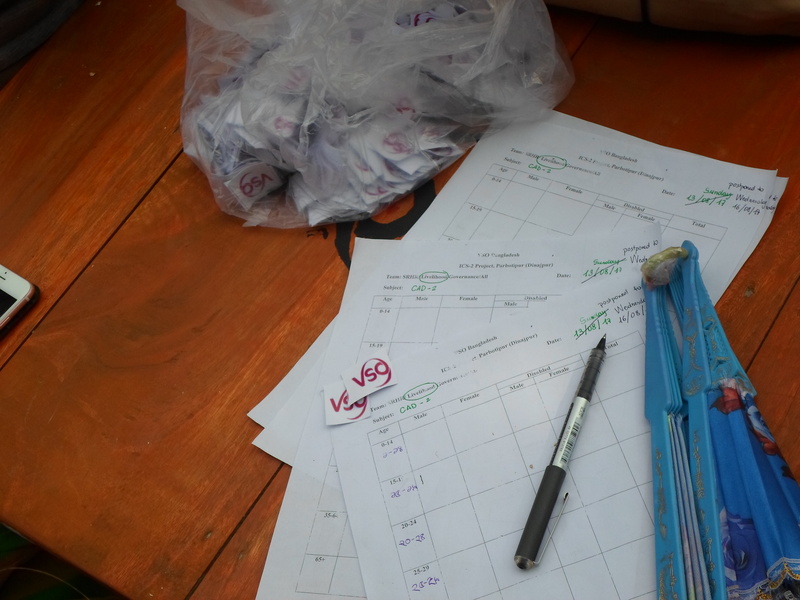 For the registration, we thought if we handed VSO stickers to the community members, it would be a good incentive for the people to register, unfortunately, this didn’t have the desired effect and found that people were still unmotivated to register for the event. On paper, we had just over 1700 people attending but it estimated that we had about 2500 attendees like the first. I know for certain even though there was 7 of us from the UK volunteering for the 12 weeks, all of our experiences were completely different from the other. We all had personal high points and the low points and personal struggles during the experience. We were all challenged on a personal level and I’m sure we all at one point questioned our own motives and views on life back home and where we were heading once the project finished. 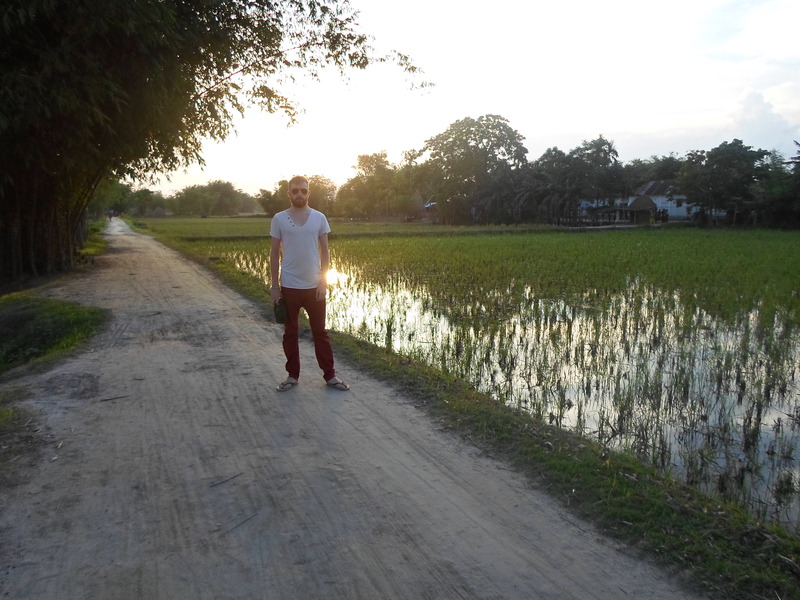 For me, Bangladesh was an inspiring journey and one that will not be forgotten. I learnt a great deal about myself and was able to develop a crazy project which I’m looking to launch later this year. 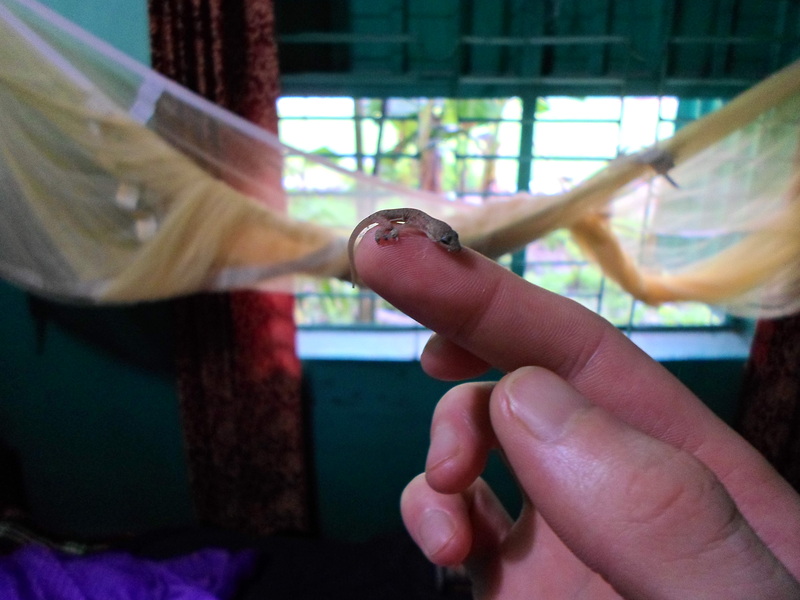 I had a lot of fun learning the local cultural dos and dont’s and I had plenty of opportunities to get involved with our host family and tending to the animals. We occasionally went on days out. (We had one day off per week, how our time was spent during that day was up to us) Here are a few photos of local temples, theme parks and just walks around the community we had the opportunity to walk on most days after office hours. Here are a few more images of our travels and hopefully this will show you what an incredible experience we had over the placement. There were many times during the project where I was continuously reflecting on who I was and my life back home in the UK, there was plenty of times where I had focused on what I could do differently to put myself further on the right path and a lot of my time after office hours was spent creating, planning and reevaluating what I wanted to be doing. There were many people who criticised me for going overseas and involving myself with an international development programme where there is so much work to be done at home and whilst the comments usually came out of an ignorant place, it left me a lot of room to think about what I could personally do to tackle national issues and how, if at all, I could inspire and motivate other people to partner up with me and get involved with the movement I am looking at creating. There are a lot of things I am currently developing and creating, some which will dramatically affect homelessness in the UK amongst a long term project which will see volunteers go overseas and work closely within communities to help tackle various issues that affect their lives. I will be launching a huge project in November which will I’ll be looking to bring communities of motivated and driven people together who are dedicated to improving their own lives through stronger finances, personal development, living generously, healthy living and empowering others. This will also be a foundation to create an international team of support for those living in poverty & those who are at risk of becoming homeless. If you have enjoyed reading this, then please feel free to share with your friends, family and anyone else you know who would enjoy reading. Also, make sure you have subscribed to this website so you don’t miss out on any updates in the near future. Thank you for taking the time out to read this & I hope you have thoroughly enjoyed reading about my time in Bangladesh as much as I enjoyed being there. PPS: I would finally like to take the time to thank each and everyone of you who has supported me on this journey, whether that be sharing links and events over social media, volunteering your time to help at fundraising events, arranging prizes with organisations for fundraising events and even donating. Every single one of you has been able to help me take part in a transformative 12-week programme and without all the support, I couldn’t possibly have accompished it.